The Battle of Ypres, in which the British Expeditionary Forces played a key part, saw atrociously high casualty figures and the end of the mobile war on the Western Front. The battle was fought between the Allies and the Germans over control of the town of Ypres in West Belgium. Nearly the whole of the British Army was deployed in defending the Allied position. The Germans counter attacked but the Allies maintained their line and both sides dug trenches into the ground around the town to maintain their positions. These trenches became part of a line stretching from the North Sea to the Swiss border which would remain largely unchanged over the next four years. Life in the trenches meant dealing with the daily threat of death from shell fire and snipers' bullets, as well as other dangers such as disease, rat infestations, lice, nits, trench fever (caused by lice) and trench foot (caused by the cold wet conditions). 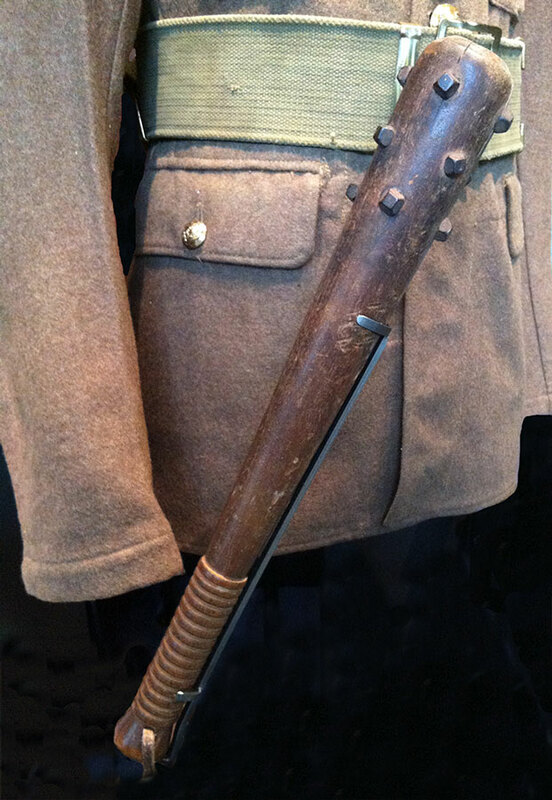 Battalions served a period on the front line, then were moved back to the support lines before being given a period of rest and then returning to the front line. 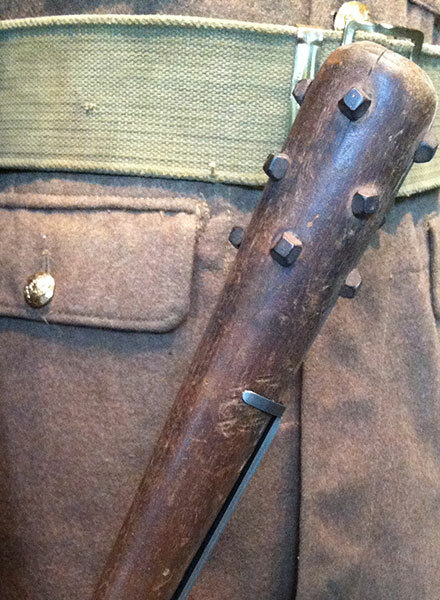 Trench truncheon used for hand-to-hand combat in the trenches.